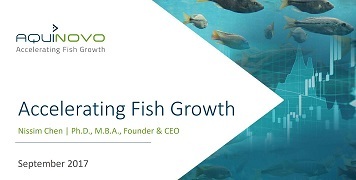 AquiNovo is developing proprietary materials to enhance the growth of farmed fish. AquiNovo brings a disruptive technology to a growing industry, addressing a critical challenge of the immense food crisis. AquiNovo develops novel growth enhancers for farmed fish to meet the ever-growing demand for fish protein. Our non-GMO, non-hormonal, easy-to-use solution accelerates fish growth and thus provide fish farms with shorter time to market and higher yields. The first two products target tilapia and salmon; future products are planned for additional species. AquiNovo intends to sell its products to feed producers (incorporated into their feed and sold through their marketing and sales networks). Aquaculture production is expanding rapidly as marine sources are depleted and fish consumption increases. To meet the growing demand for fish protein, the aquaculture industry needs sustainable solutions that increase fish yields while using existing resources and infrastructures. The technology was demonstrated in both lab scale (yielding 20%-40% growth enhancement) and field scale studies. 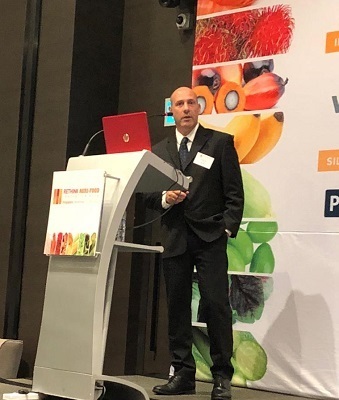 AquiNovo CEO Nissim Chen presents during the Technology Showcase (Indoor Agriculture and Sustainable Aquaculture), Agri-Food Innovation Week, Singapore, 28 November 2018. AquiNovo is now funding. See the presentation (PDF). Send more information about AquiNovo. 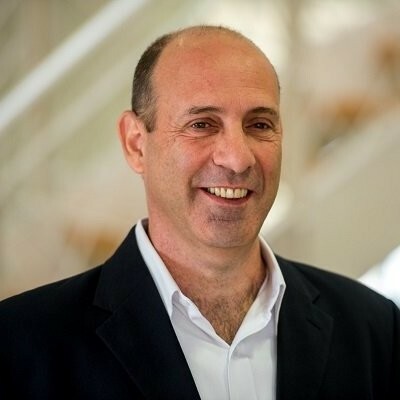 AquiNovo CEO Nissim Chen interviewed on Israel Daily TV. With feed comprising up to 50% of growers’ operating expenses, the goal of reaching maximum fish weight while reducing production costs remains a key challenge. AquiNovo’s technology addresses this challenge by enhancing growth, thus reducing time to marketing and increasing overall fish production efficiency. AquiNovo’s first products will be developed for tilapia, a high-demand market with an expected 8.5 million tons farmed at year of launch; and salmon, a high-value market with an expected 6.4 million tons farmed at launch.